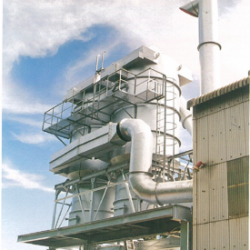 SWIF ASIA has collaborated with Shiken Corporation to produce Cyclone and dust collector, lots of Dust collector type that we made, with system Pulse jet or mechanical. The equipment glories in biggest numbers of delivery and 40 years history since development. The equipment 100% disposes of zinc and ammonium chloride arising from hot dipping galvanize plating. 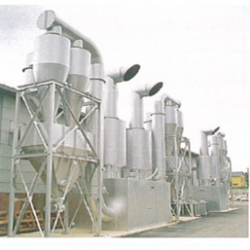 Filter Loading and stickness in case of leass degrease can be protected in combination with the pre-coating supplier which coats the filters with calcium carbonate, etc. Highest performance and number one delivery records in the field. 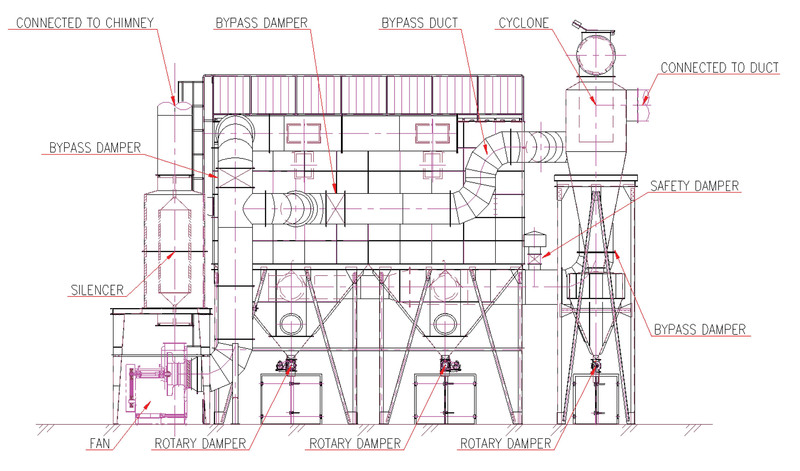 The equipment efficiently disposes of exhausted gas and flux fume from alumunium furnace. We have development and installed many numbers of the equipment in combination with large and medium scaled industrial furnace factories. 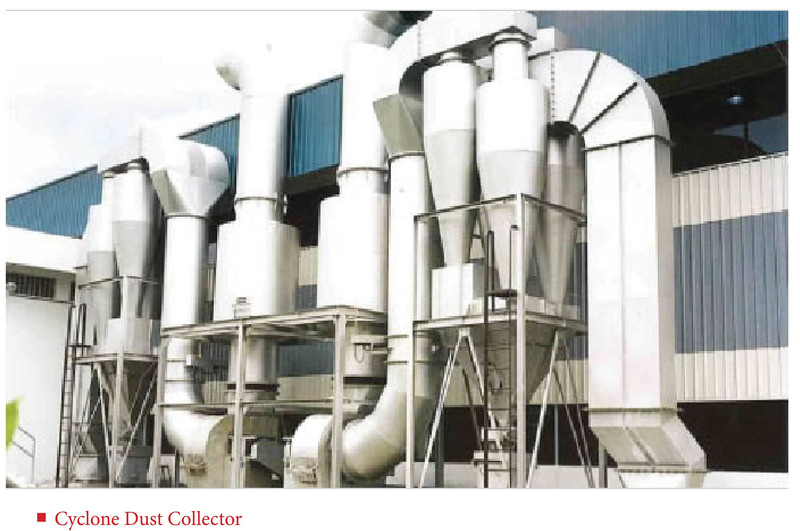 This is the dust collecting equipment which disposes of dust fumes containing in high temperature exhaust gas which is produced when melting recycling goods or casting products. 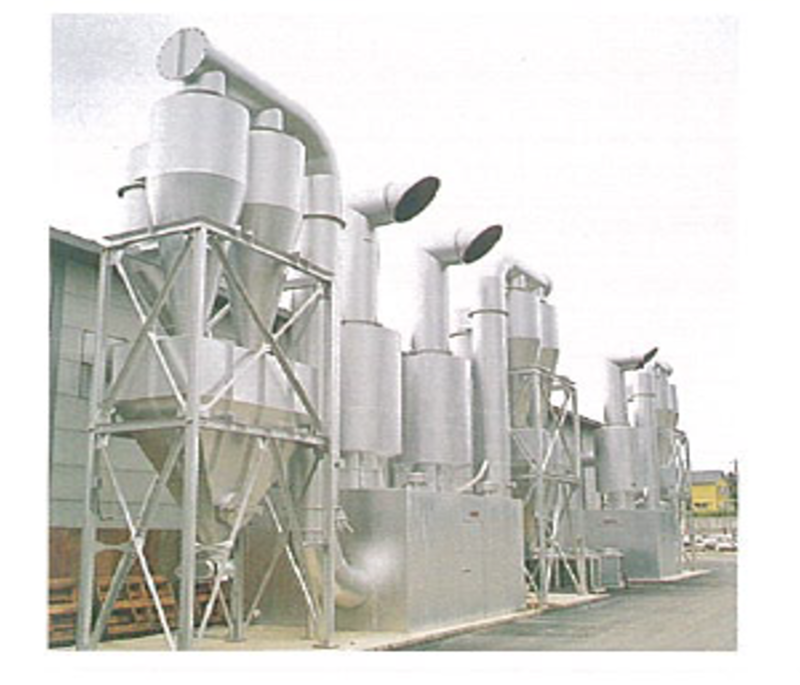 The inlet air temperature can be controlled between 150 to 180° Celcius by the forced-air cooling device installed in front of the dust collector which is designed in compact size by Shiken original technology. 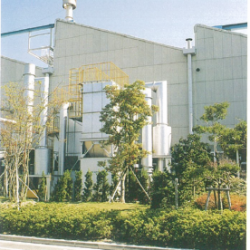 Filter life becomes longer by using pre-coated material mixed spun. Thanks to our over 40 years experience we enjoy good reputation for being efficiency, cost saving and high completion of the system. 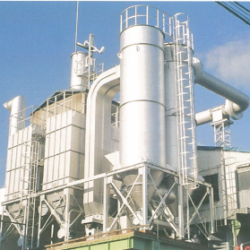 The system is widely used among recycling and casting factories. The equipment requies various countermeasure and high performance againt dusts from polishing and abrasion because there contain various kinds of dusts according to process and conditions. Since company estalishment we have devoted to developing dust collecting equipments for polishing dust in addition to development of polishing machine. The delivery achievements for over 50 years prove its excellent performance and the equipments have been obtaining high reputations world widely. There are two types “ Bag Filter Type “ and “Multiclone Type “ for your sellection according to use.